"Feeling Fulfilled As Life ItSelf"
What if feeling fulfilled is not about what you do, or how you look, or who your friends are? What if fulfillment can be experienced and known just as you are, exactly as you are, without changing anything at all? Come and join in this Satsang to support yourself in knowing this fulfillment in your own direct experience. Loosely the format: Some speaking with the topic, some led explorations of Self, some mini sessions/meetings with individuals. Main overall format - deepening into Selfhood. Canela will also be offering some toning sounds inclusive of intention. 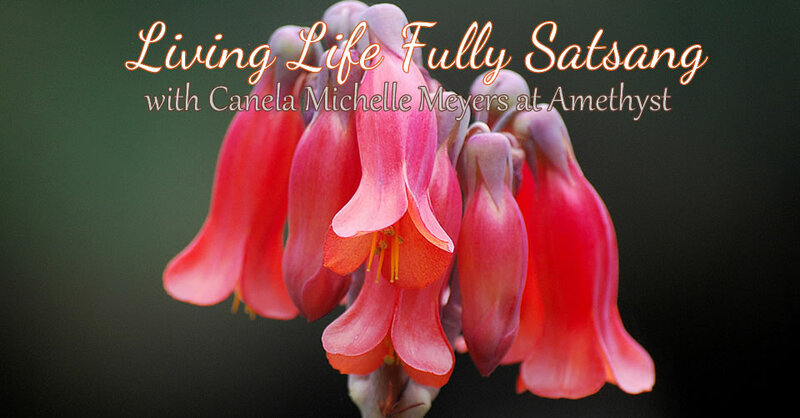 Canela has been supporting people to Awaken to themselves (and therefore All That Is) through Here Now Satsang gatherings and private Satsang sessions since 1999 around the world. Canela remains available to support others to living in more enjoyment, peace, abundance and Presence ItSelfsupporting Awareness to be aware of its Self.